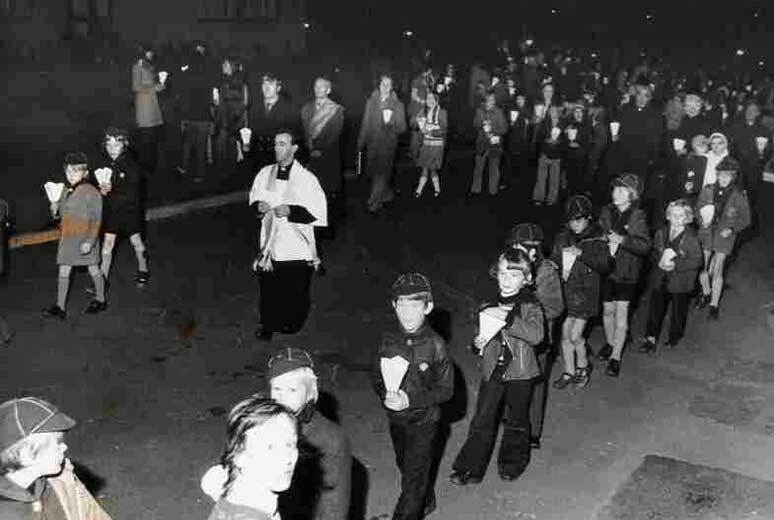 The Torchlight Procession was started in the 1951 by Father Gallon so that parishioners could take part in what is both an act of public worship and a display of witness to our faith. After the Rosary was said at the Church the procession; preceded by a statue of Our Lady and a loudspeaker van playing appropiate Hymns got underway. 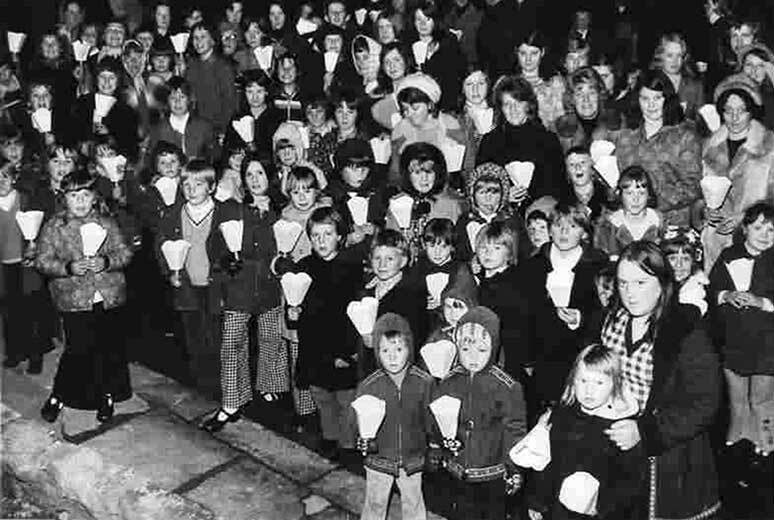 The original route went on Cemetery Road and then along Wellington Street turning left at the Yorkshire Bank onto Commercial Street and finishing at the Market Place where there would be a short service followed by Benediction. It is said that in the early days the Market Place would be full before the tail end of the procession had even reached Commercial Street, in later years the route was shortened by not going on Wellington Street but entering onto Commercial Street at its other end. 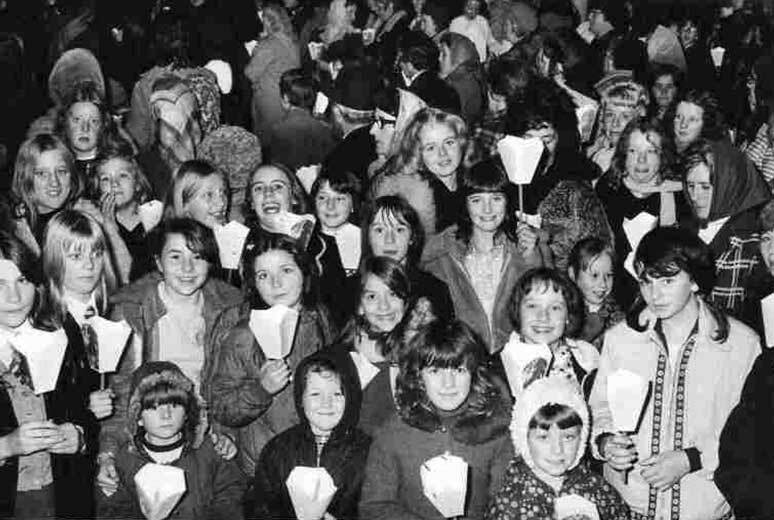 From the start it was hugely popular attracting people from all over the diocese and beyond. 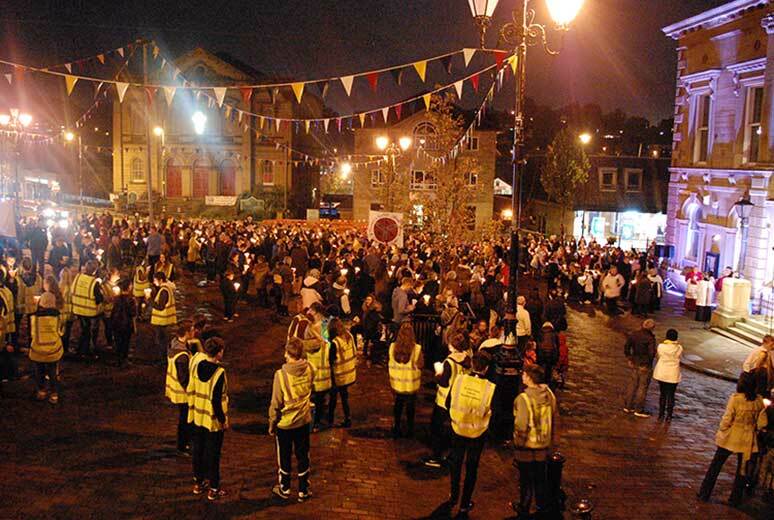 Monday 5th October saw the Torchlight Procession of 2015. The procession is now started in the Market Place and ends with Benediction in Church. 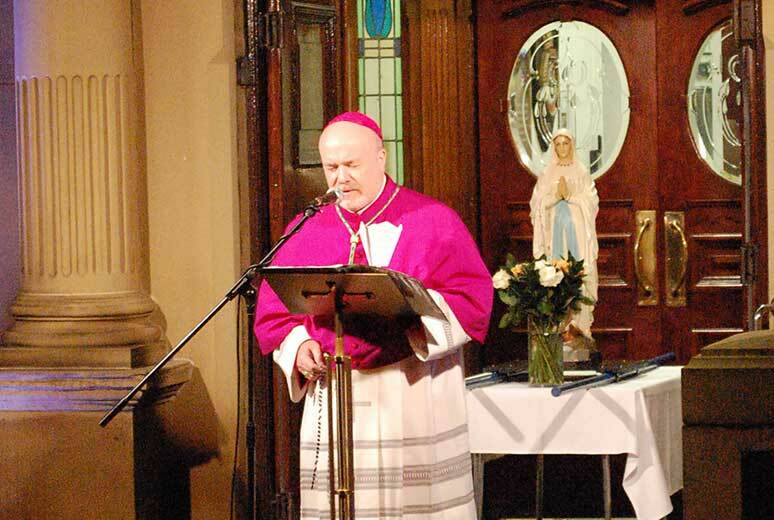 We were delighted to welcome Bishop Marcus Stock to Batley and also Fr. 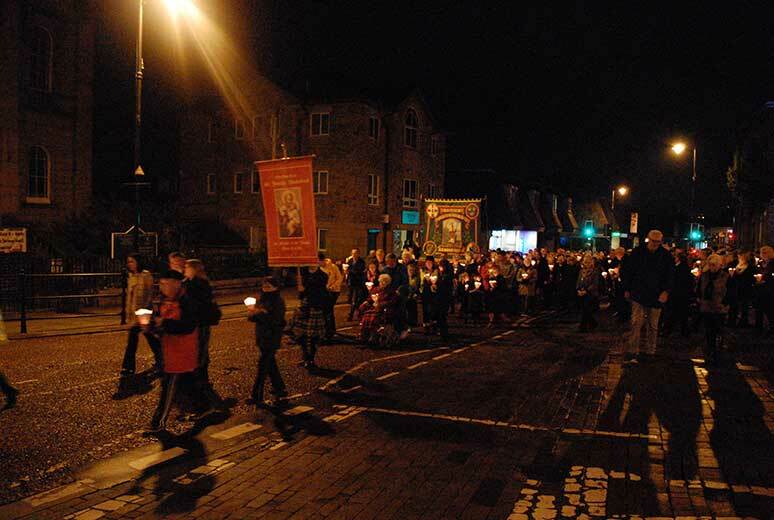 Eamonn to his first ever Torchlight Procession.